Hi friends! I hope you are well. We are ok. A few of us have a little cold but it seems to pass pretty fast. However, my oldest son is having a hard time fitting in at school so if you could think some positive thoughts for him, that would be awesome. 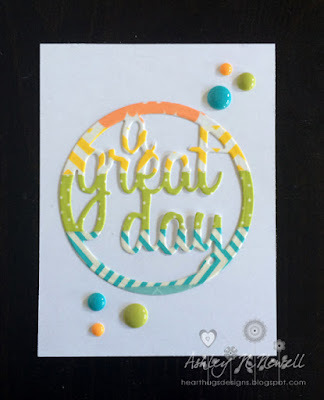 Today, I am sharing a project I made for my friend Cath Edvalson's new blog where she introduced a new challenge called Tuesday's Take. You can see the first Tuesday's Take HERE. Cath gives a prompt and you can make anything you want. It's just about inspiration. I decided to use the inspiration towards my The 100 Days Project and create two pocket scrapbooking cards. 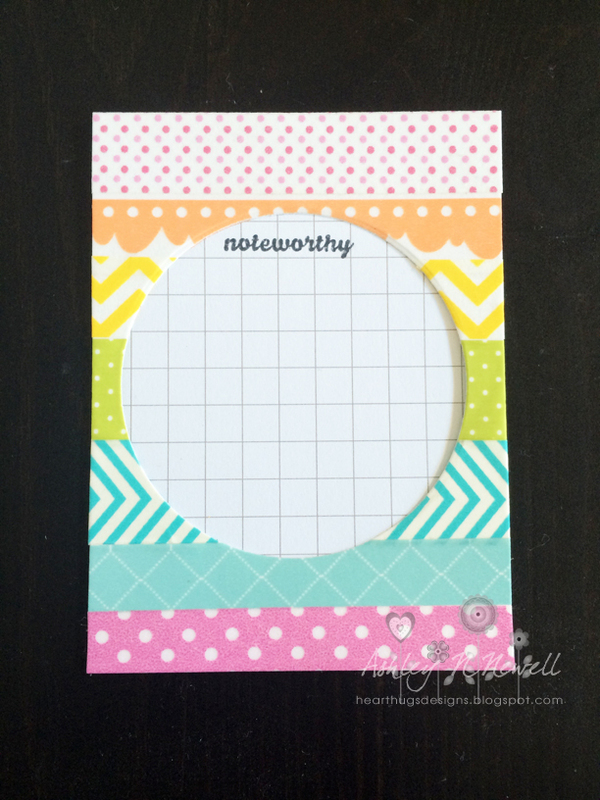 I covered a 3x4 inch piece of white cardstock with washi tape. (If you've read my blog for a while you know that I make cards like this all the time.) I ran it through the Cuttlebug and then decided to make two cards. I was playing with the idea of making one card but I went with two and I'm glad I did. The first card I made just has a Project Life gird card adhered to the back and I stamped a sentiment using an Amy Tangerine roller stamp. 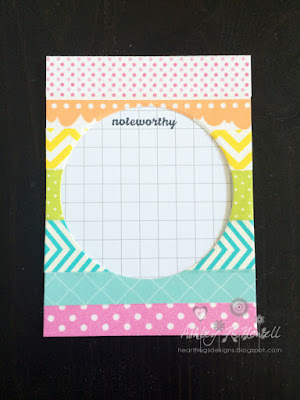 This card is for journaling. The next card is a filler card. I used the die cut and adhered it to some white cardstock. Then I decided to go with only the colors that are on the die cut and added some enamel dots. Now these cards can be used on the same layout or different ones. Love that you got two cards out of the one piece!